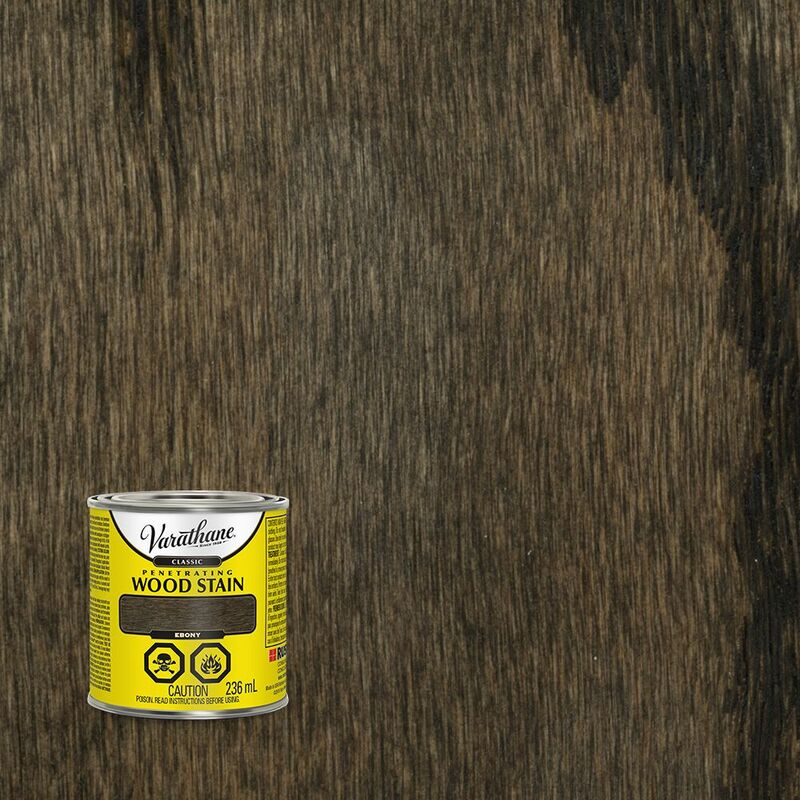 VARATHANE Classic Oil-Based Penetrating Wood Stains are formulated with a unique base for deep penetration and premium pigments for clear colour. This results in a deeper, richer and more natural colour for your wood projects. From floors to furniture, Varathane Classic Wood Stains are formulated not just to stain wood, but to reveal its true beauty. This product is ideal for use on all interior projects including furniture, cabinets, doors and trim, floors and paneling. Enhance your serving griddle's appeal while protecting tables and countertops with our wood underliners. Classic Penetrating Wood Stain Ebony 236ml VARATHANE Classic Oil-Based Penetrating Wood Stains are formulated with a unique base for deep penetration and premium pigments for clear colour. This results in a deeper, richer and more natural colour for your wood projects.